Each of these PR70DCAM PCGS FDI Flag Picture Frame Holder coins are independently certified by the 3rd party grading company PCGS (Professional Coin Grading Service). The 70 grade is a perfect grade - the highest grade possible. 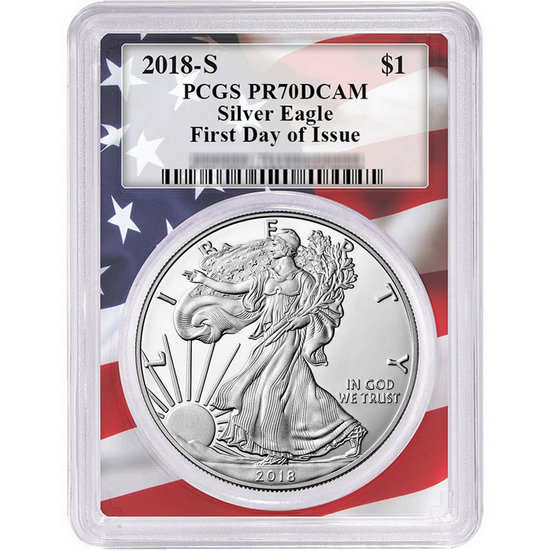 The first day of issue (FDI) designation guarantees that the American Silver Eagle Proof Coin was received by a PCGS facility or postmarked to a PCGS facility within one day of initial mint release/issue. The Flag Label is a standard PCGS first strike label. 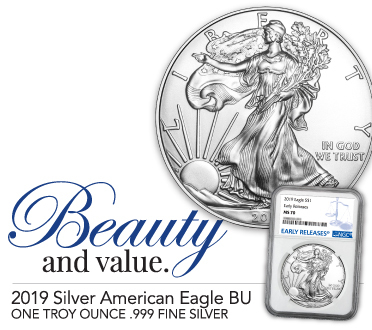 A popular annual release from the US Mint since 1987 (with exception in 2009), these American Silver Eagle Proof Coins carry a face value of One Dollar from the US Government and are minted in 1 Troy Ounce of pure 99.9% silver. 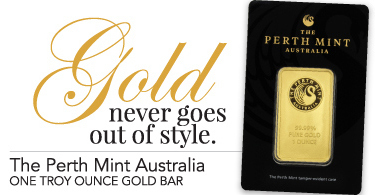 Considered a collector item, this proof version carries a higher premium than their non-proof brilliant unciruclated counterparts which are also minted in higher numbers. 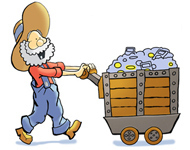 Customer demand determines the number of proof coins minted each year - therefore the mintage is never officially known until the following year, but are generally much less than BUs. The obverse (heads side) of this proof quality coin features Adolph A. Weinman's full-length figure of Liberty in full stride, enveloped in folds of the flag, with her right hand extended and branches of laurel and oak in her left. Its reverse (tails side) features former Mint Sculptor-Engraver John Mercanti's heraldic eagle with shield, an olive branch in the right talon and arrows in the left. American Eagle One Ounce Silver Proof Coins are struck on .999 fine silver blanks and bear the "S" mint mark indicating their production at the United States Mint at San Francisco. See all 2018 "S" Proof SAE Coin Options.